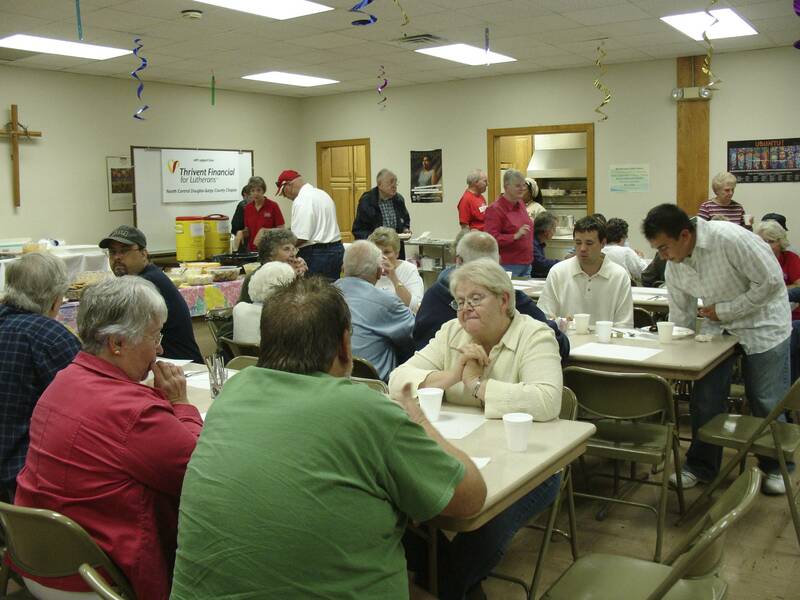 Grace Evangelical Lutheran Church – Page 17 – An ELCA Lutheran Congregation in South Omaha with a Mission to share God's Word and love in care and service to all. The last couple weeks have created a great deal of fear and confusion for all people. As people of faith, we are encouraged to not allow fear to have sway over us. We are encouraged by an understanding of God that says, “Fear not!” Therefore, we will trust that God’s care for us as humans will prevail. Check out the latest news! 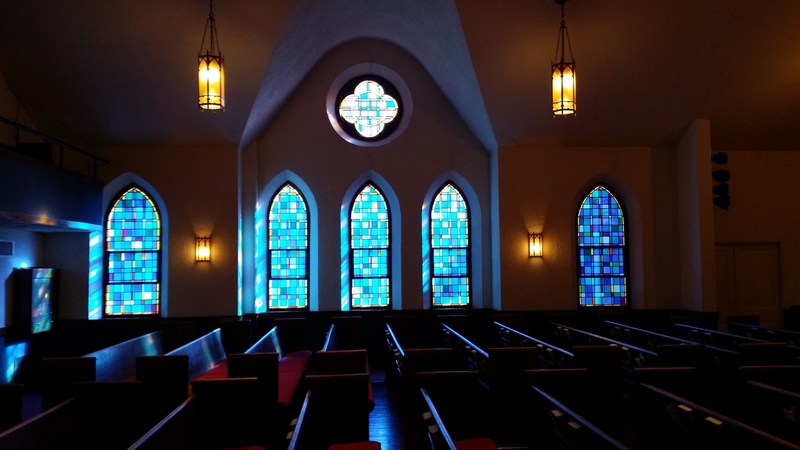 The story shared by Intern Angela Khabeb is an important look at the shape of ministry. There are many service opportunities suggested within. Read the poems written by youth attending Wednesday Faith Quest. Wow! Amazing! Kora Fundraiser is a wonderful Success! Words seem inadequate to describe the wonderful outpouring of support that was evident as people gathered for the “Jadin Kora Benefit Fundraiser.” There was an abundance of good food! There was an outpouring of good will. 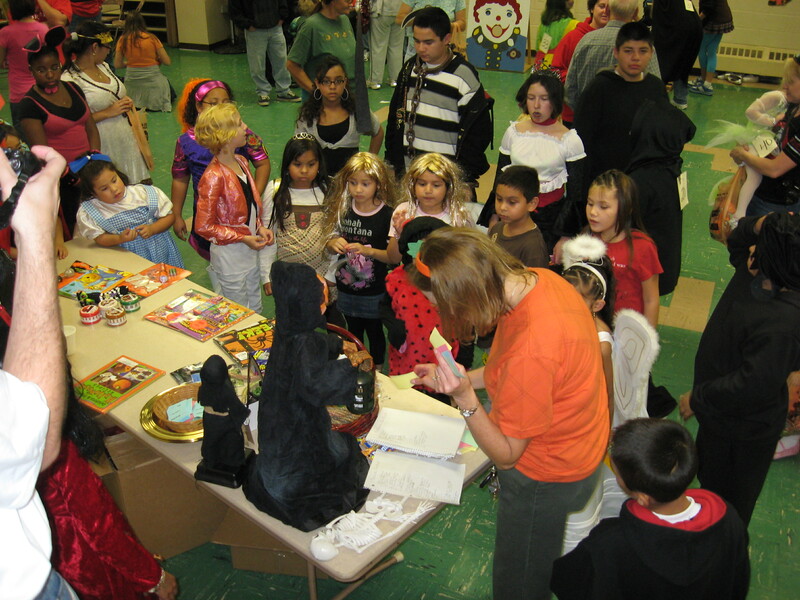 People came to enjoy the fun and festivities. The pie toss was a special “treat” for some. 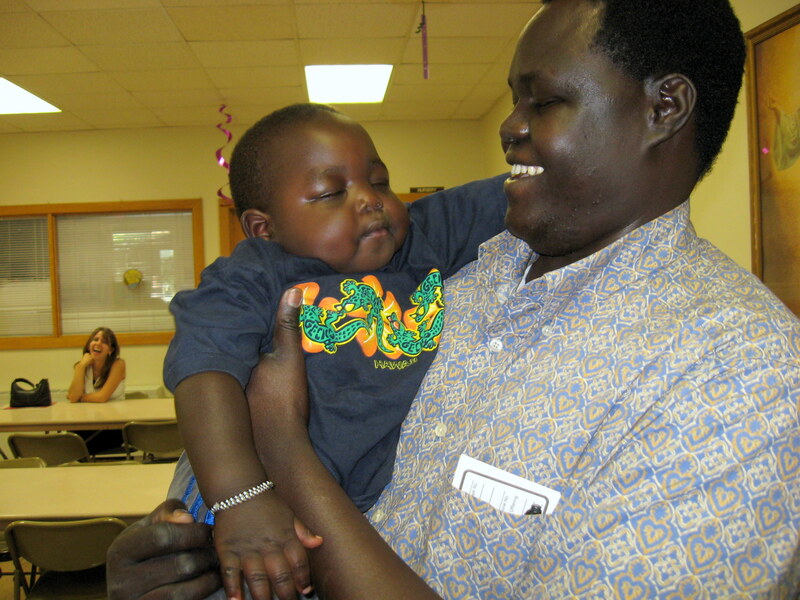 Titus Duli and family came to enjoy the festivities, too. Titus expressed his deepest thanks for all the support shown for his family. We exceeded our goal of raising $2000 for Jadin’s medical needs. Thanks be to God! Jadin was born with damage done to his left shoulder. He is an active one and half year old. He needs a very special type of surgery that is not available in Nebraska. He and his parents need to go to Mayo Clinic for this procedure. 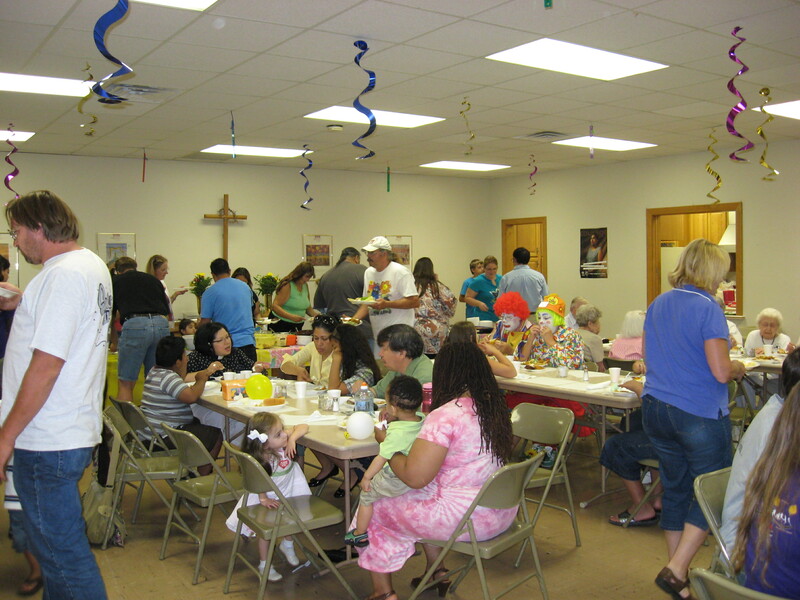 Grace Lutheran members and friends are planning a special fundraiser for Saturday, September 6. All interested persons are invited to dinner between 5-7 pm. Free will donations will be combined with proceeds from a silent auction and matched by Thrivent Financial for Lutherans. 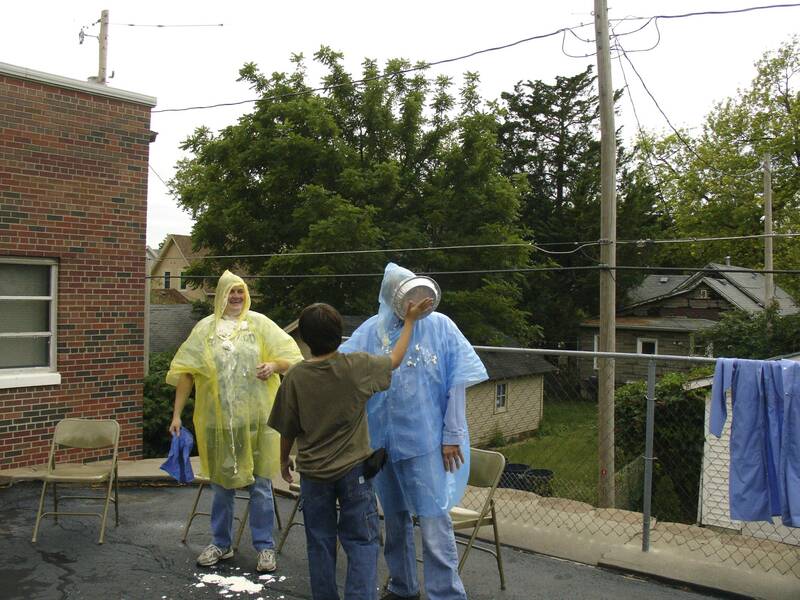 There will be games for children and rumor has it that several leaders will sit for a whipped cream toss. Come out and join the fun while we raise needed funds for Jadin and his family. Take a look at the latest news. Lots of activities to participate in. 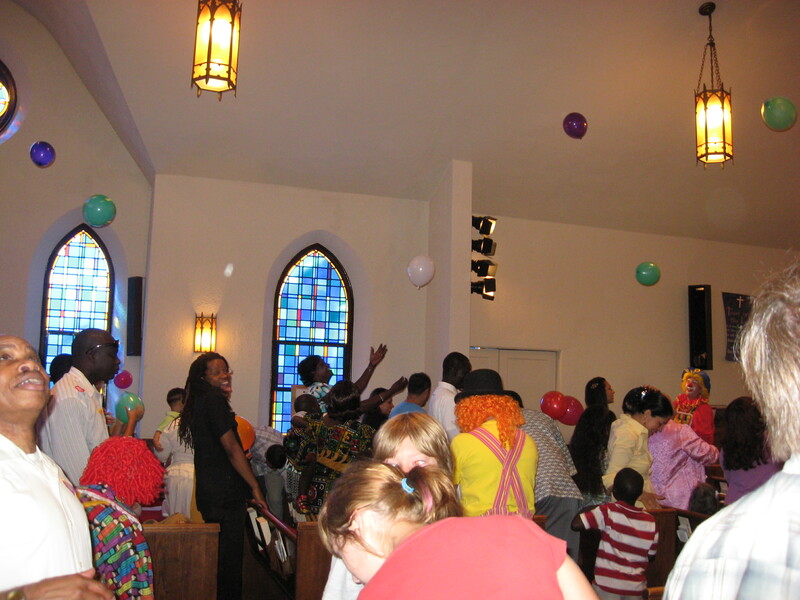 Life in Christ Clowns helped create a celebration as we ended our 2008 Kids at Work Program. Joy was contagious as we participated in the skits that helped us see God’s amazing work and love. 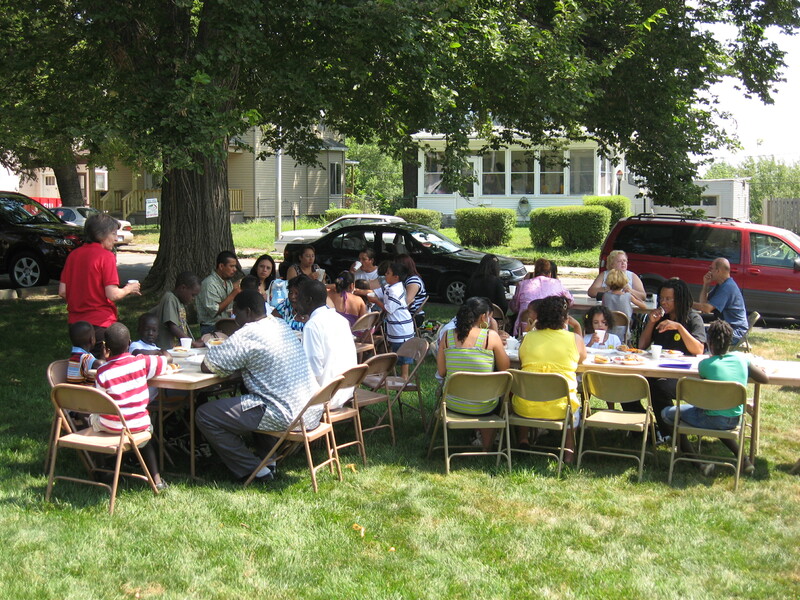 Worship was followed by a picnic. God abundantly blesses and we shared those blessings with all. Good food! Good fellowship! Check out the events! 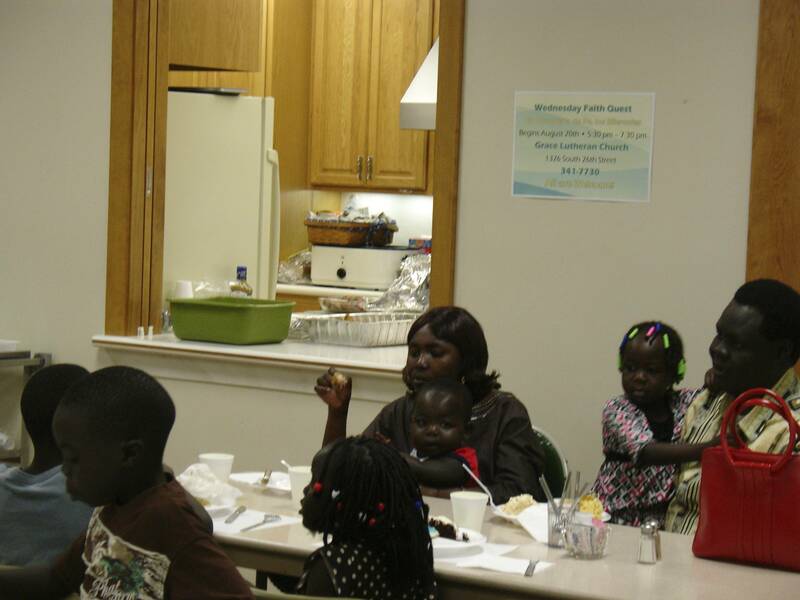 Read the autobiographical story from Intern Angela. Plan to attend our celebration picnic on Sunday, August 10. Youth in our confirmation camp experience are having a wonderful time. As you can see, they are working together to provide one another rest. Well, not quite. This is a game called “Ha, Ha.” Ask them about it. Fun and games, worship and prayer, learning and excitement, these are the things that make for a great confirmation camp experience.